Juice is packed with sugar… Go for the real fruit instead. It is not only more filling but contains more fiber! Plus who doesn’t love to chew! Cereal is packed with carbs, even if you go for the healthy option. If you eat cereal, make sure you measure out a serving and don’t leave the box out so you’re not tempted to pour more. It’s important to think of bagels as a treat if you want to lose weight. Did you know? Most bagels are equivalent to about five pieces of bread, PLUS the toppings. If you love bread, go for the whole wheat toast! yogurt can be a great choice in the morning but make sure you go with a plain, non-fat or low-fat option and then top it with your favorite fruit. The yogurts with fruit already added tend to have tons of extra sugar and additives. Go for the fresh fruit and save some calories! There you have it folks! Some tips from our personal trainers in Durham to help you start your day right! 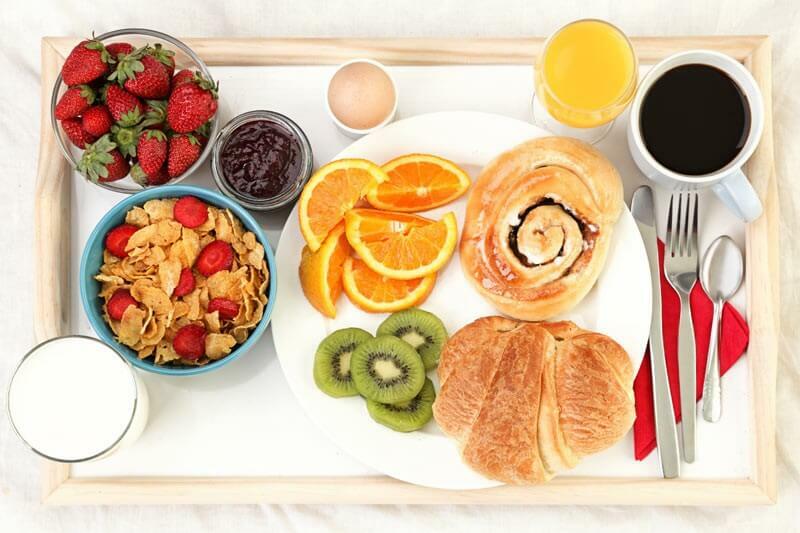 What’s your favorite healthy breakfast? We’d love to hear! Our bodies are designed for homeostasis. That means if you want to see changes in your body, you must introduce your brain and body to new and definitive patterns. To see change, you must take clear and consistent actions in order to create change and a new habit. Ever gone on a trip and missed your workouts? Do you notice that when you do, it takes some time to get back to the same level of training before your trip? Our bodies need a consistent workout schedule to see results. It’s important you make a training schedule that is fairly consistent in terms of time spent and intensity. We always recommend you give your body and muscles time to recover, but taking long periods of time off will seriously stall your results. Our Durham personal trainers get this question a lot. Typically it takes a full 10 days to see any sort of results from a new workout program or diet regimen. Stick to it and be consistent and see how you feel after 10 days, or better yet, 2 weeks. For most people, change is 80% diet and 20% exercise. In order to lose weight, you must limit certain foods. In order to gain muscle, you must eat certain foods. Exercise is absolutely essential in getting the body you want but it needs to be supported with the right diet in order to see results. It all comes down to the amount of protein, fat and carbs. Getting in shape is hard work. Dieting is straight up hard. It’s important to start any new program with realistic expectations and to not jump in too quickly. Easing into any program makes it easier to stick to it long-term. Be patient with yourself and know, sometimes, it will not be fun. Ready to change your body? Meet with our personal trainers in Durham and start seeing REAL results! 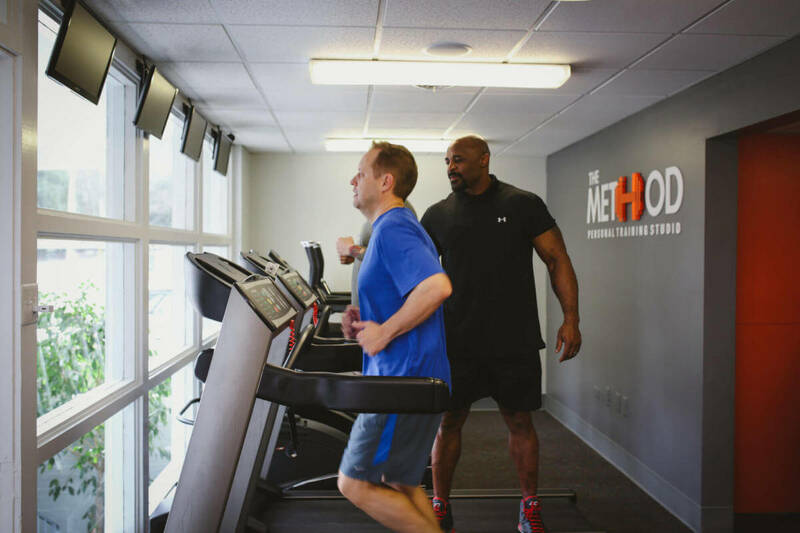 THE METHOD GYM NEWS: Exclusive Celebrity Interview! Hey Durham! Are YOU subscribed to The Method Gym mailing list? If you missed it, we’re filling you in today! 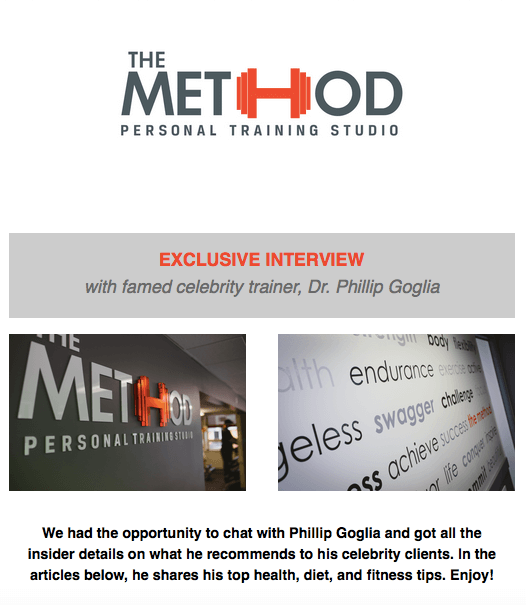 In our latest newsletter for The Method Gym in Durham we are sharing all of Dr. Phillip Goglia’s celebrity training tips! Comments Off on THE METHOD GYM NEWS: Exclusive Celebrity Interview! While just walking into the gym is always a good thing, it’s important to be mindful when exercising. Today, the tip from our personal trainers in Durham is all about avoiding mindless exercise. Sure, it’s easy to sit on the bike and flip through a magazine or text on the elliptical…. But how effective is that really at building muscle and losing weight? …So next time you want to workout, focus on your breathe, your muscles being engaged, the stretch, and the strength that you are acquiring. 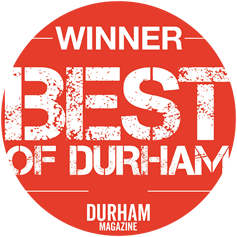 Keep working hard Durham! Come visit us at our clean and private gym near Duke!